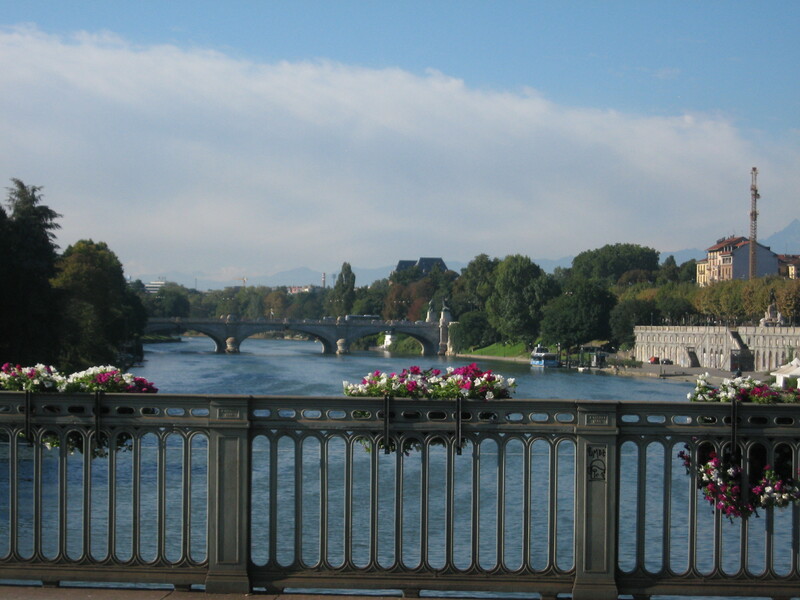 Turin/Torino is famous for a lot of wonderful flavours, probably the most popular of which is Bicerin, a hot drink made with chocolate, coffee and steamed cream. Almost every establishment you visit will make it slightly differently and will tell you that they like to keep their recipe a secret, but this hot delicacy is not to be missed by any visiting chocolate lover. 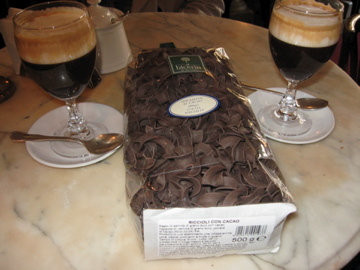 We tried the traditional version at CaffèAl Bicerin in the Piazza della Consolata. This establishment was founded in 1763, and claims to have invented the drink. They do a great job at it, as I found their Bicerin to be less sweet and less heavy than those sampled at other places. You can even buy chocolate pasta here! We tried a trendy new variation of the Bicerin called the Espressone Chocolate Mousse at Lavazza Espression on Via Garibaldi. It was a real taste treat that is eaten with a spoon as it’s ultra thick and super smooth. (Travel secret: if you take your Espresso or coffee drinks standing, establishments charge you much less than if you sit down. 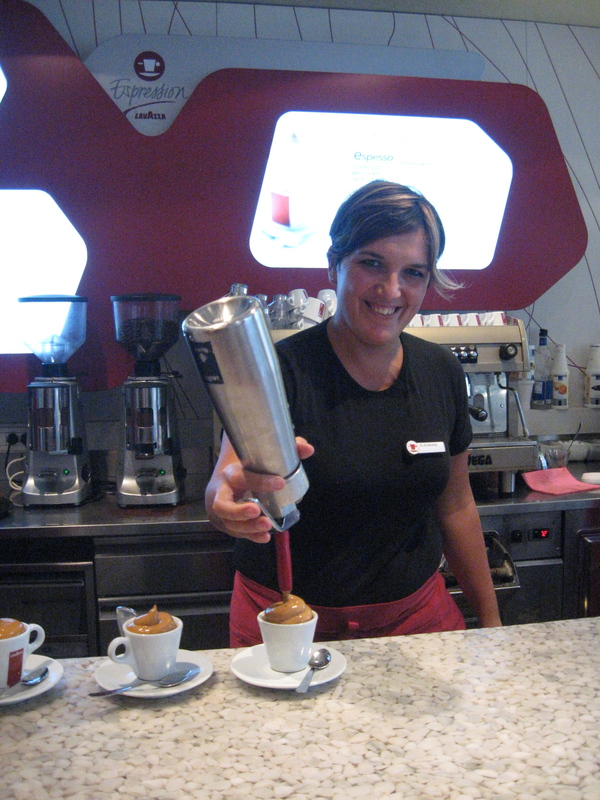 Many coffee bars only charge 1 euro for an espresso served to a standing customer.) You choose! Continuing our exploration of Torino’s sweet scene, we stopped to enjoy another variation of the Bicerin at Gertosio Pasticceria, a business originally founded in 1880 by master chocolate maker, Pietro Viola. In 1961 the Gertosio family took it over and now have a father, mother, son and daughter-in-law team bringing taste sensations to everyone who walks through their welcoming doors. The Gertosios offer the il Sabaudo, a delicious drink of hot chocolate, coffee, crushed nuts and whipped cream. All I can say is … Wow! Truly decadent. They have plenty of amazing chocolate creations to take away, too, but you’ll have to wait for my book, Chocolatour, to hear more about those. Take a peek at this page on my website for more on that! 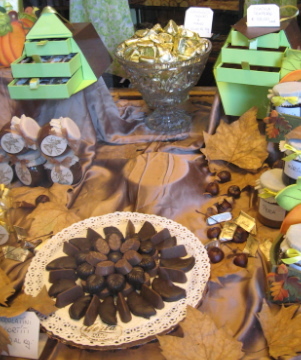 Pretty much every chocolate maker in Torino offers the city’s special creation: the Gianduiotti, three-cornered chocolates made of cocoa and hazelnuts. They are a bit sweet for my liking, but very smooth and creamy. Cioccolato Peyrano offers a Torte Peyrano that is to die for: a dense dark chocolate cake made with hazelnuts and orange jam and covered with a layer of thin dark chocolate. A 600 gram Peyrano cake is pricey at 29 euros, but worth every cent. The flavour is truly out of this world. 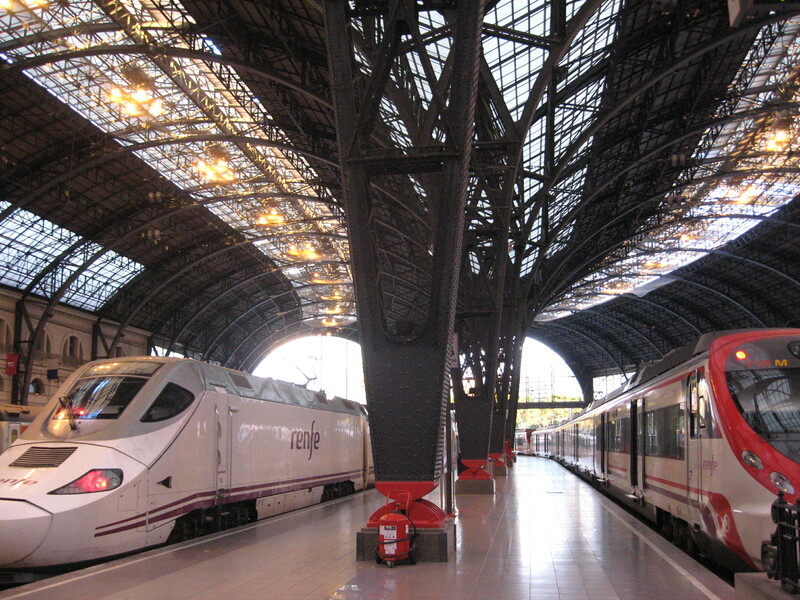 But don’t take my word for it, plan a trip to Torino! 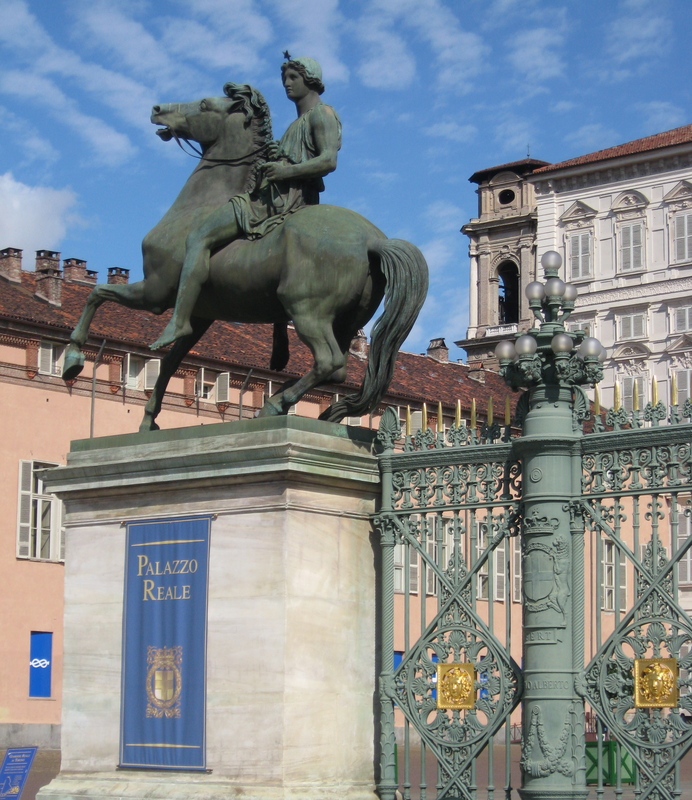 Torino is one of three Italian cities (Rome and Florence are the other two) that will be celebrating Italy’s 150th anniversary this year, from March 15 until November 15, 2011. With any luck, I’ll get back there in time to help them celebrate! Join me back on the blog the week of January 17th for a post on our next stop: Pistoia.